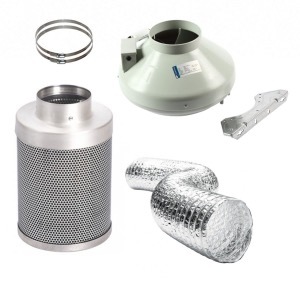 RVK & Fresh Air Kit 4"
RVK Fan & Rhino Hobby Filter Kit 4"
Hydrodaze has assembled a great range of Rhino Hobby ventilation kits. Each kit contains all the necessary components needed to get your ventilation system up and running in a matter of minutes. We recommend replacing these filters every 6-9 months.